Halliburton Company posted stronger-than-expected first quarter revenues Monday as a surge in global oil prices helped boost international drilling activity and offset rising costs in North America. Halliburton said adjusted earnings for the three months ending in March came in at 23 cents per share, down around 44% from the same period last year but largely in-line with analysts' forecasts. Group sales, however, were little changed at $5.7 billion and topped the Street consensus estimate of $5.53 billion as North American drilling activity increased put pricing headwinds accelerated. Samsung Electronics plans to invest 11 trillion won ($9.57 billion) annually through 2030 in logic chip businesses, including its foundry business, and expects the move to help create 15,000 jobs over the period. The total investment of around 133 trillion won comes at a time when the world's top memory chip maker is strengthening its non-memory semiconductor businesses such as contract chip manufacturing, known as foundry, and mobile processors. 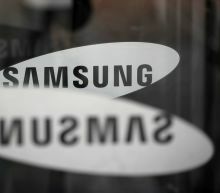 Although Samsung does not disclose the breakdown of its investment in the semiconductor division, analysts say it has annually spent about as much as 10 trillion won in memory chips, Samsung's major income earner. In the last reported quarter, the company delivered a positive earnings surprise of 5.8%, backed by solid performances by its Risk and Insurance plus Consulting segments. Aided by its solid segments, revenues of the company are likely to have witnessed an upside in the to-be-reported quarter. The company's constant efforts in effecting alliances and acquisitions poise the segment well for growth. The top three lithium producers lost almost a billion dollars in combined market-value after Umicore SA, a producer of metal products and catalysts used in vehicles, among other uses, warned that it will miss analysts' profit estimates due to slowing slowing demand for electric vehicles in China and South Korea. Lithium giant Albemarle Corp.'s shares took the largest hit, down as much as 5.5 percent as it counts Umicore among its top three customers. 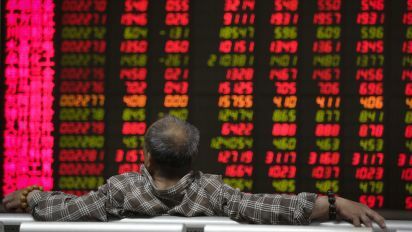 Peer Livent Corp. declined 3.8 percent and Sociedad Quimica y Minera de Chile SA's ADRs tumbled as much as 3.6 percent. Cisco's legacy networking business long has struggled with growth, but the company is shifting into areas of better growth. It's becoming more of a security play, giving it exposure to that hot sector. Growing recurring revenue from increasing software sales add to the case, and 5G offers yet another catalyst for Cisco stock. SAP SE raised its operating profit outlook for the year, bolstered by strong growth in its cloud business, as the German software maker pushes ahead with a major restructuring. The Walldorf-based company reported a 26 percent increase in new cloud bookings for the first quarter at constant currencies, picking up speed compared to the October-December period in the metric closely watched by analysts. Activist investor Elliott Management also disclosed that it owns 1.2 billion euros ($1.3 billion) in common stock and economic equivalents of SAP, saying the stock has been “consistently undervalued” relative to its revenue growth. 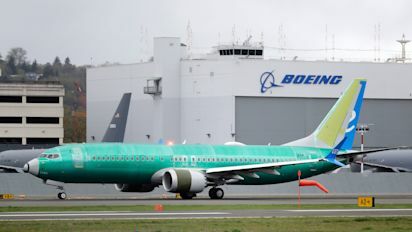 CHICAGO/SEATTLE (Reuters) - Boeing Co has told some 737 MAX owners it is targeting U.S. Federal Aviation Administration approval of its software fix as early as the third week of May and the ungrounding of the aircraft around mid-July, two sources told Reuters. 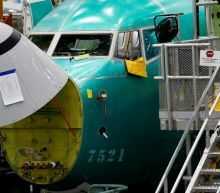 The dates are part of a provisional timeline that Boeing has shared in meetings with airline customers as it explains an upgrade to software that played a role in two fatal crashes and led to the worldwide grounding of its MAX 737 jetliner in March. The asset-management units of Deutsche Bank AG and UBS Group AG are in “serious” talks to merge, the Financial Times reported Tuesday, citing people familiar with the matter it didn't identify. Discussions about a deal have been ongoing for “a couple of months” and one structure being considered is for UBS to split off its asset-management unit and fold it into Deutsche Bank's DWS Group in exchange for shares in the larger group, according to the report. Deutsche Bank would remain the largest shareholder, the report said. 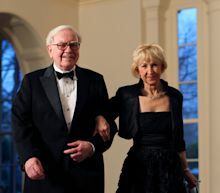 Meritage Homes Corp. MTH) on Tuesday reported first-quarter profit of $25.4 million. On a per-share basis, the Scottsdale, Arizona-based company said it had profit of 65 cents. Consequently, it will be prudent to invest in stocks with a favorable Zacks Rank, strong growth potential and positive Earnings ESP for the first quarter of 2019. On Apr 1, the Institute for Supply Management (ISM) reported that U.S. manufacturing expanded in March for the 119th consecutive month. The March index came in at 55.3, easily surpassing the consensus estimate of 54.5. HCA Holdings (HCA) is expected to deliver a year-over-year decline in earnings on higher revenues when it reports results for the quarter ended March 2019. The earnings report, which is expected to be released on April 30, 2019, might help the stock move higher if these key numbers are better than expectations. While the sustainability of the immediate price change and future earnings expectations will mostly depend on management's discussion of business conditions on the earnings call, it's worth handicapping the probability of a positive EPS surprise. Wall Street expects flat earnings compared to the year-ago quarter on lower revenues when Pfizer (PFE) reports results for the quarter ended March 2019. The stock might move higher if these key numbers top expectations in the upcoming earnings report, which is expected to be released on April 30. While management's discussion of business conditions on the earnings call will mostly determine the sustainability of the immediate price change and future earnings expectations, it's worth having a handicapping insight into the odds of a positive EPS surprise. Perrigo Company plc Price and EPS Surprise Perrigo Company plc Price and EPS Surprise | Perrigo Company plc Quote The company is expected to report first-quarter 2018 earnings on May 14. We expect the company to beat on earnings as it has a Zacks Rank #3 and an Earnings ESP of +1.22%. Aurora Cannabis Inc.
As such, positive estimate revisions reflect analyst optimism about the company's business and profitability. Based on our research, we believe these estimate revisions are directly related to near-team stock moves. To benefit from this, we have developed the Zacks Rank, a proprietary model which takes these estimate changes into account and provides an actionable rating system. Looking at the full year, our Zacks Consensus Estimates suggest analysts are expecting earnings of $5.33 per share and revenue of $11.19 billion. These totals would mark changes of -19.73% and -4.46%, respectively, from last year. Investors might also notice recent changes to analyst estimates for NVDA. President Donald Trump's administration announced Monday that buyers of Iranian oil must stop purchases by May 1 or face sanctions. The move, which took many market participants by surprise, ends six months of waivers which had allowed Iran's eight biggest buyers of crude to continue to import limited volumes. Alongside India and six others, China was one of the eight global buyers of Iranian crude that won exemptions from the U.S. last November.